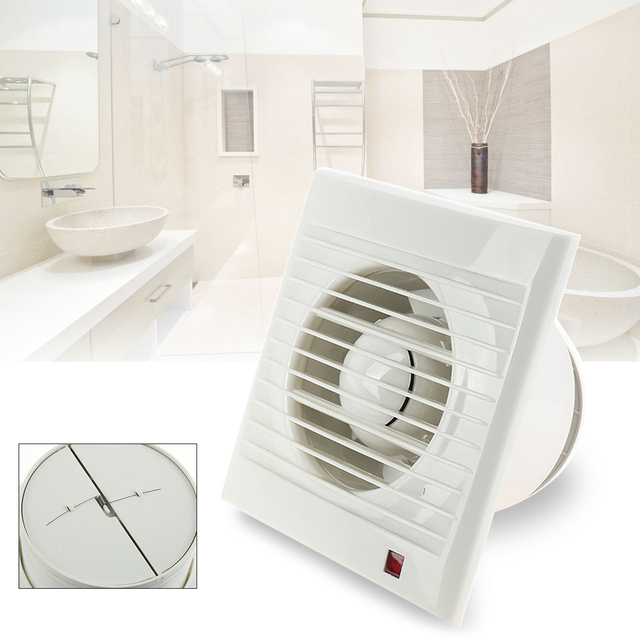 Toilet - Bathroom Exhaust Fan: Why It Is Important? Toilet – Bathroom Exhaust Fan: Why It Is Important? It can exhaust the smelly air (bad smell from toilet or bathroom), by allowing fresh air inside! It can exhaust the humid air, by allowing dry air to enter in! Therefore, a good bathroom ventilation protects both our health and our home which experience the high level of humidity, moisture & toilet smells! Excess moisture in bathroom has a tremendous potential to damage the beauty! Humidity level rises significantly during a bath or shower, which accelerate the process of generating mildew, mold and microorganisms that have the negative impact on health! In addition, the long-term exposure to excess moisture and humidity can peel or crack the paint and wallpaper, fungus on walls, warp the doors, ruin the wallboard and rust the cabinets & fixtures. Without control, it can even cause deterioration of joists and framing of the bathroom and toilets. Therefore, it is crucial to have bathroom exhaust fans to prevent your bathroom from the above defects! One of the largest reasons for having a toilet or bathroom exhaust fan is for odour control. The key cause for bad smell from toilet or foul odours – is the leakage of foul gases & waste water! The gases also needs to be expelled by mean of effective toilet or bathroom ventilation! Therefore, if your natural ventilation is poor, then first of all you have to set the right mechanical ventilation for the odour control with the subsequent solution! Also Read: 9 Smart Tips to Eliminate Bathroom & Toilet Smells From Your House! Bathrooms are usually cleaned with the hostile chemicals, which can cause a variety of health issues when inhaled! This is a major concern especially for the small children, the elderly, or for those with having lung problems! Although there are many reasons for using bathroom exhaust fans, many people often fail to do so! In many cases, the ventilation exhaust fan is loud and annoying. It is a common problem that occurs; when your bathroom exhaust fan installation is not done properly! Naturally, the poor bathroom exhaust fan installation also frequently involves a lack of insulation, which can cause heat to escape into your attic. Fortunately, all of this can be avoided with the appropriate exhaust fan and the proper installation! As you can see, bathroom exhaust fans are an important element that should not be unnoticed in your home! It is important that you install an exhaust fan of high quality, that way you can rest assured knowing that you have made an excellent investment! Following the above points, the toilet or bathroom ventilation will enable you to keep your bathroom/toilet well maintained, offering a clean atmosphere for the next person who enters! What is a Trap and Its Ideal Requirements? What is a Floor Trap (Nahni Trap)?